By completing this registration form for The UC Tower, I would like to receive emails and other electronic messages from tribute communities including news, updates, publications and promotions regarding their products and services. I understand that I can withdraw my consent at any time in the future. After successfully launching UC, UC Towns, and UC Towns 2, we're pleased to introduce UC Tower! 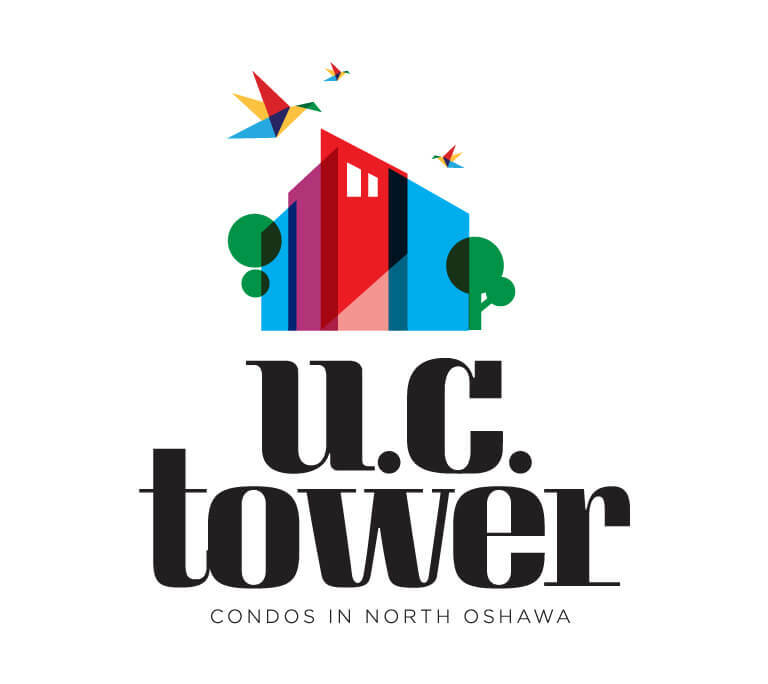 Nestled into the heart of Oshawa's most vibrant area, UC Tower is where the action is. 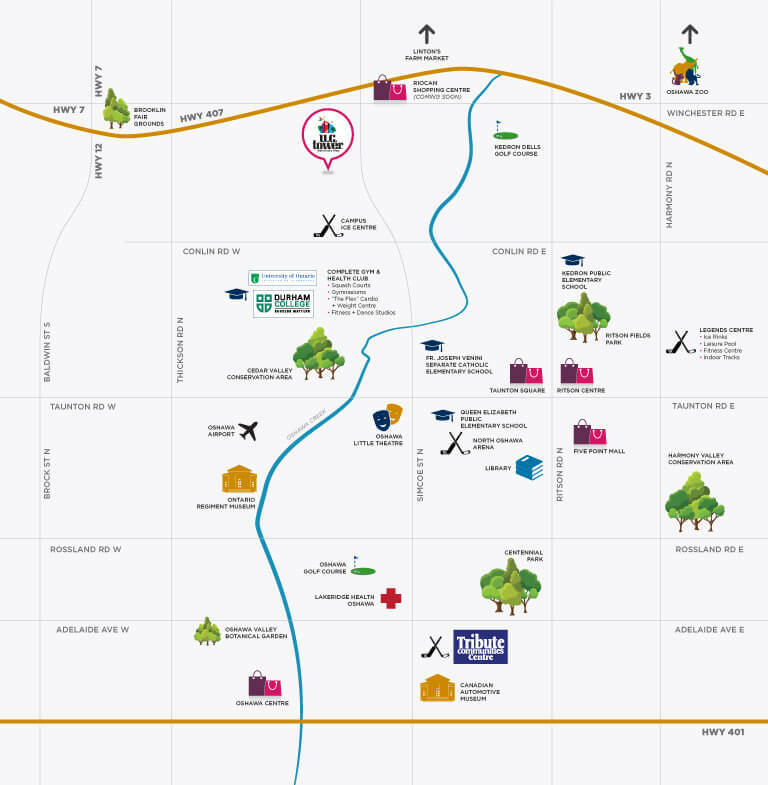 With a UOIT campus and Durham College just steps away, the area is buzzing with youthful energy. 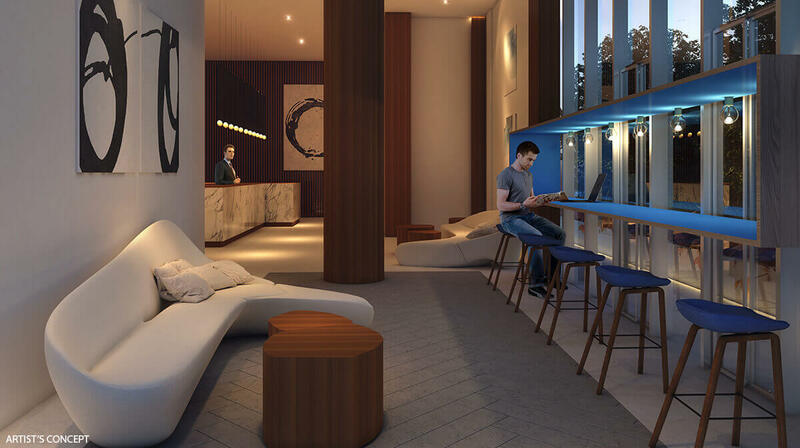 UC Tower is designed to help you enjoy life in your own neighbourhood. 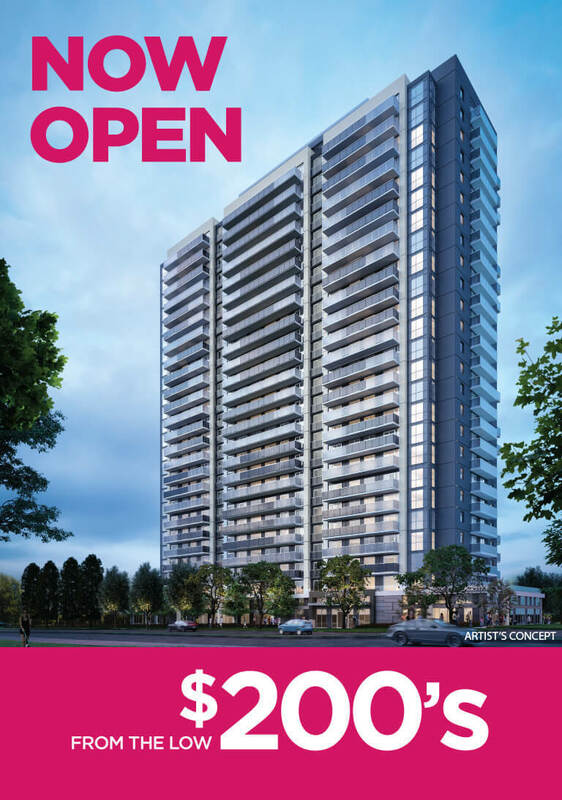 With local transit, parks, athletic centres, and shopping all just outside your door, living at UC Tower takes convenience and matches it perfectly with substance to give you the ideal place to call home. It's also just a short 5-minute drive to get to the 407 highway. A great way to getaway when you need to. to over 21,000 square feet of exceptional amenities. 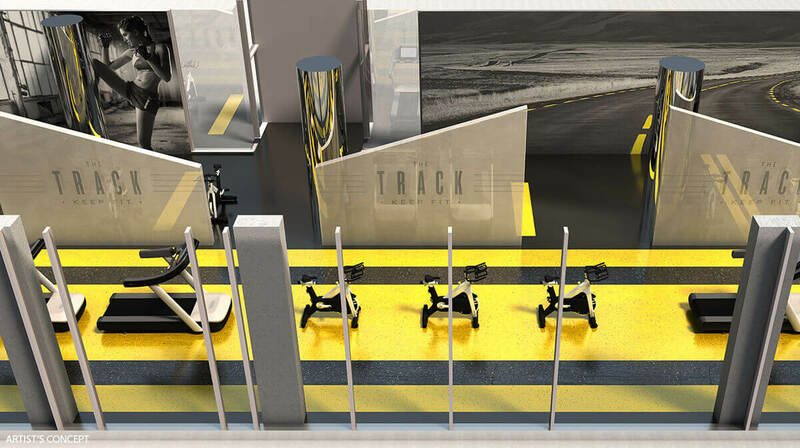 Indoors, you'll enjoy 9,556 square feet of top of the line athletic equipment in the gym, a beautiful party room fit for any festivity, guest suites, and a unique elevator designed for bicycles. 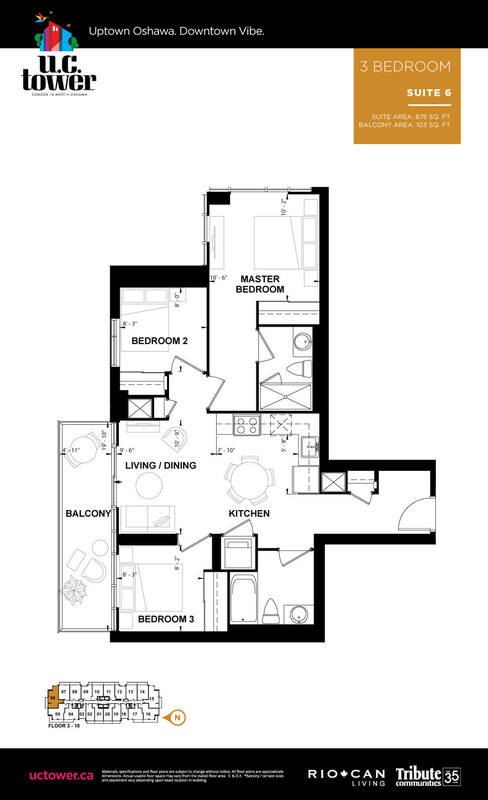 You'll also be able to enjoy 7,782 square feet of beautiful outdoor space. Whether you want to grab some friends and head to the barbeques or just enjoy some time reading under a tree on a terrace, there is space for it all. That's just the beginning. There is tons to do at UC Tower for people with every taste. You can't spell fUnCtional without UC. That's exactly what the suites in the UC Tower are. The open concept living space is designed so that you won't miss a thing. 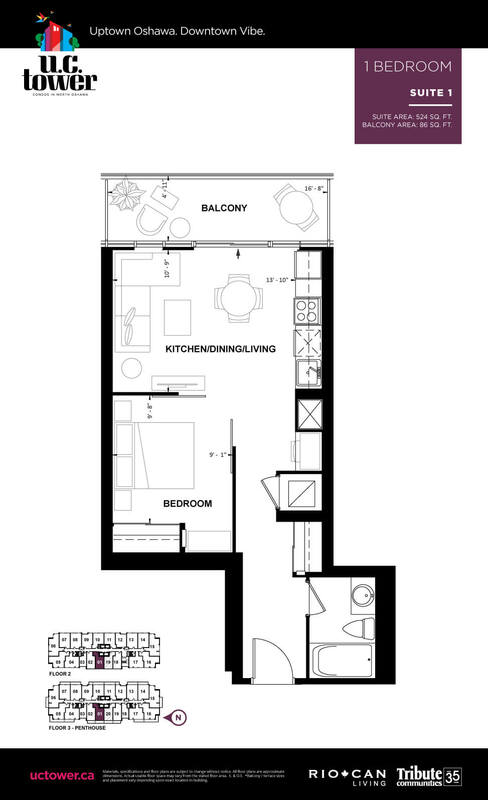 Simple and thoughtful the floorplans will make you feel like you've always lived there. The quiet corners for bedrooms will allow you the perfect restful night. 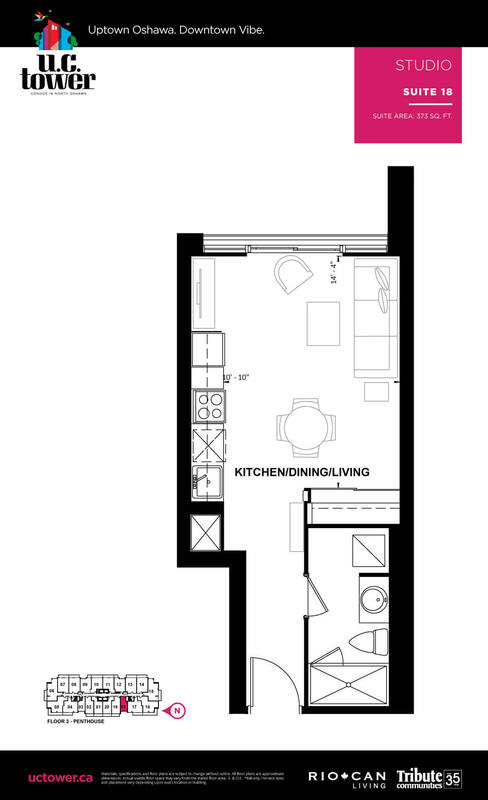 The chef-inspired kitchens will make you think you're the next celebrity chef. The living room/dining room will have you inviting friends and family over for every occasion. It's the perfect combination that you've been waiting for. 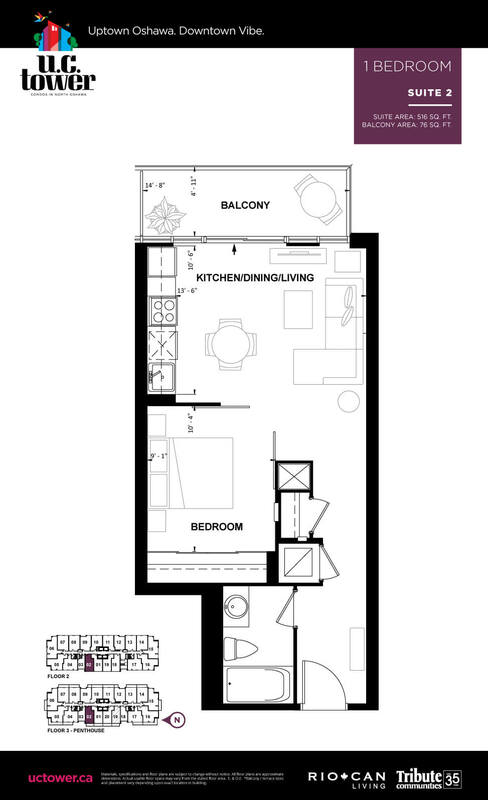 SUITE 3 | 334 SQ. 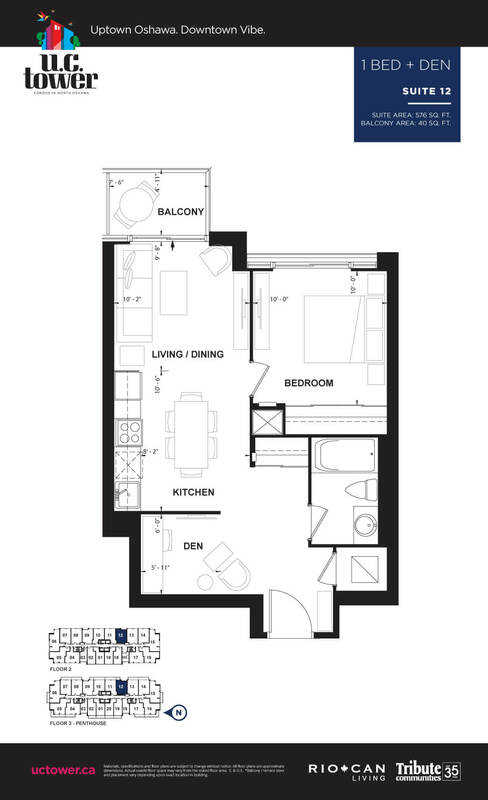 FT.
SUITE 18 | 373 SQ. 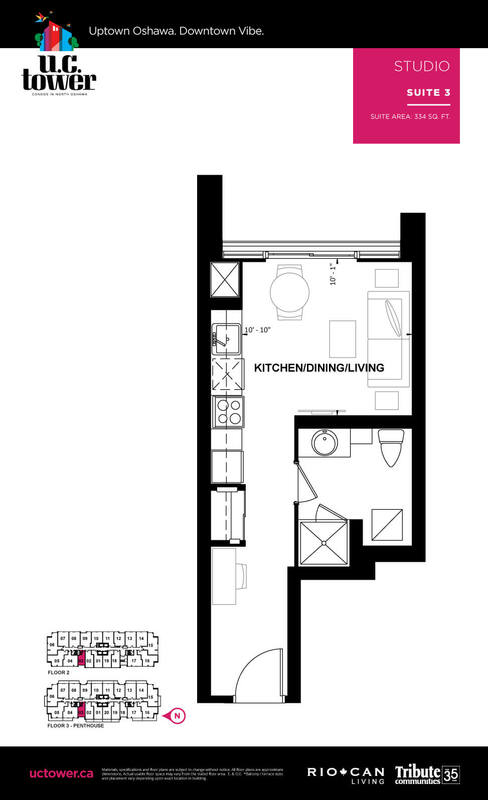 FT.
SUITE 18-19 | 516 SQ. 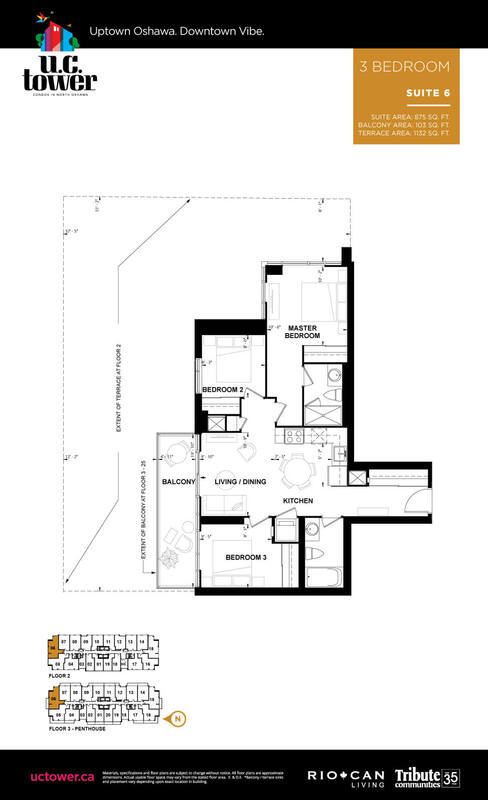 FT.
SUITE 2 | 516 SQ. 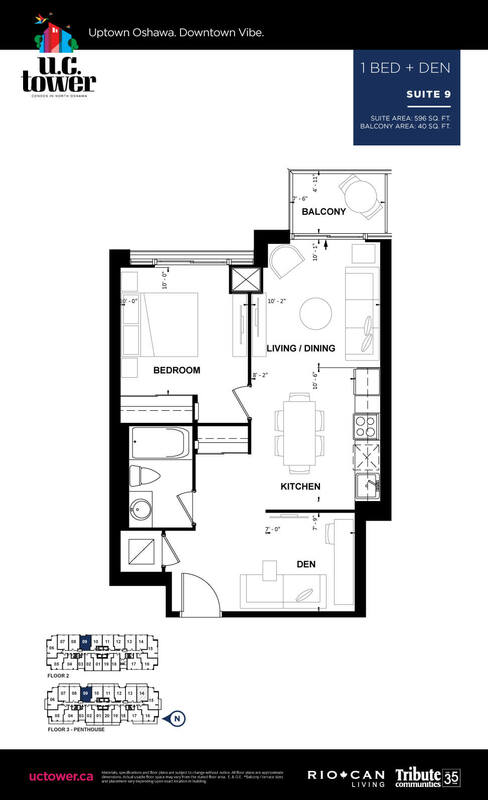 FT.
SUITE 1 | 524 SQ. 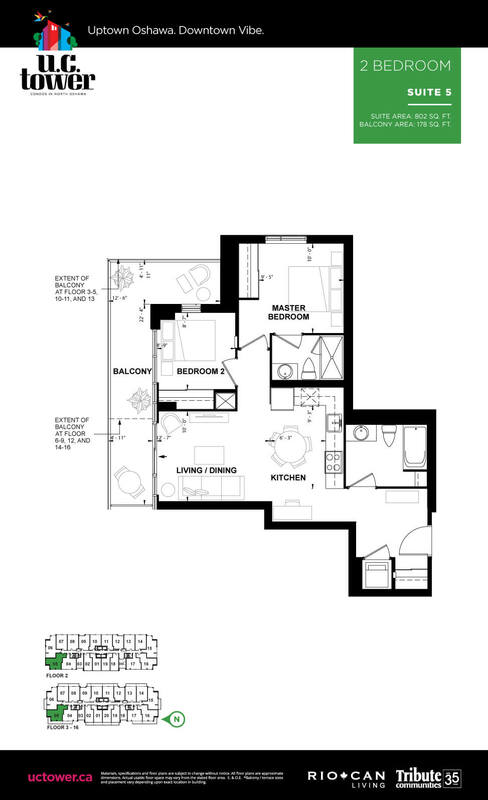 FT.
SUITE 10 | 574 SQ. 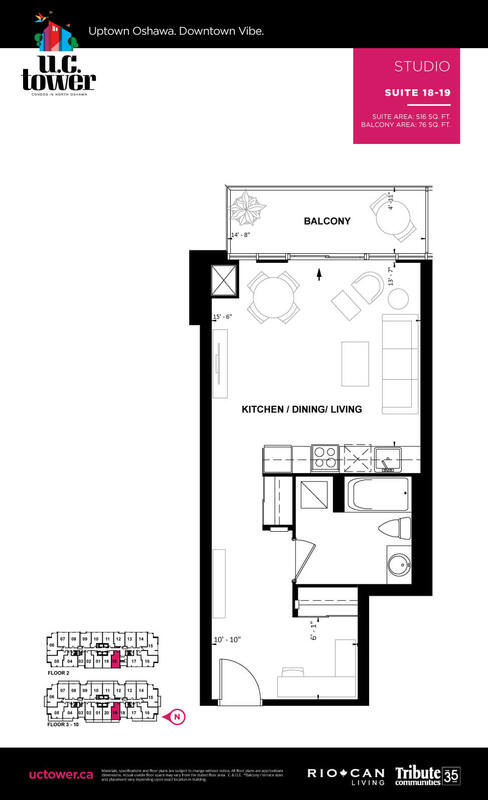 FT.
SUITE 12 | 576 SQ. 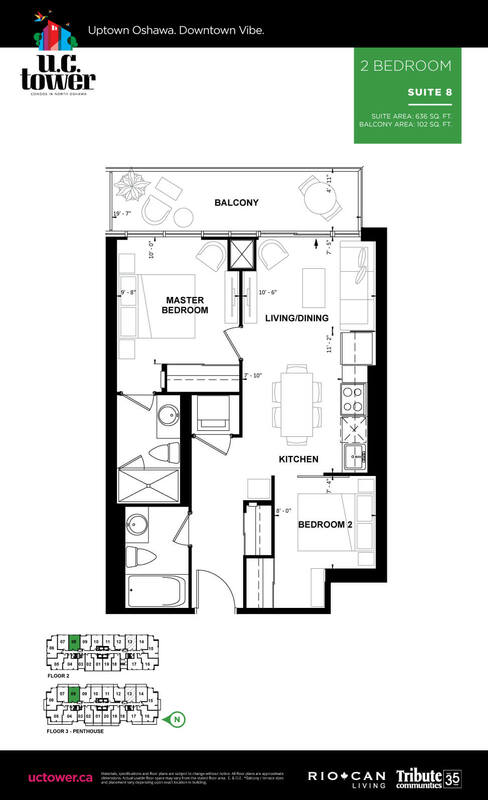 FT.
SUITE 9 | 596 SQ. 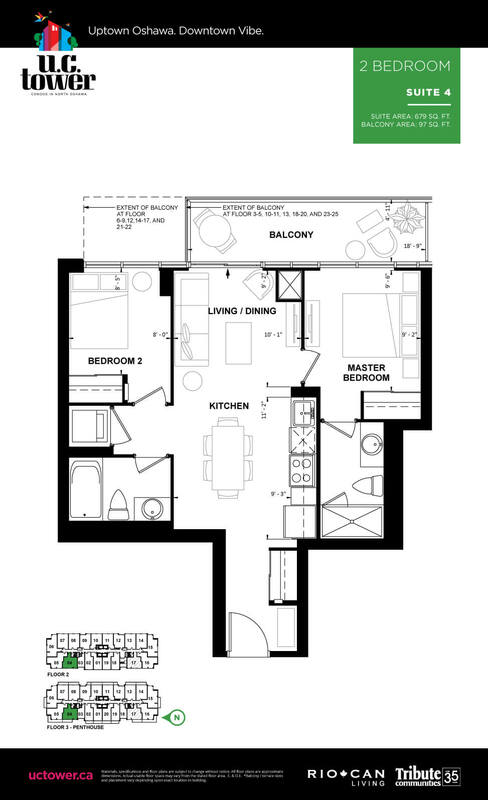 FT.
SUITE 7 | 623 SQ. 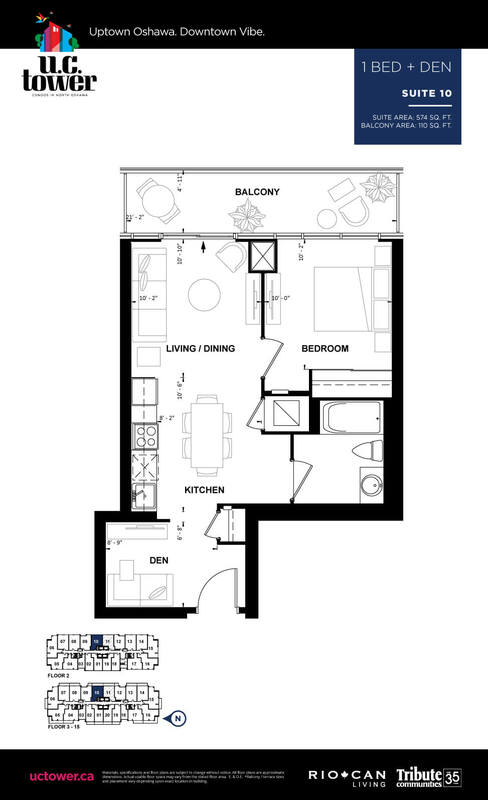 FT.
SUITE 8 | 636 SQ. 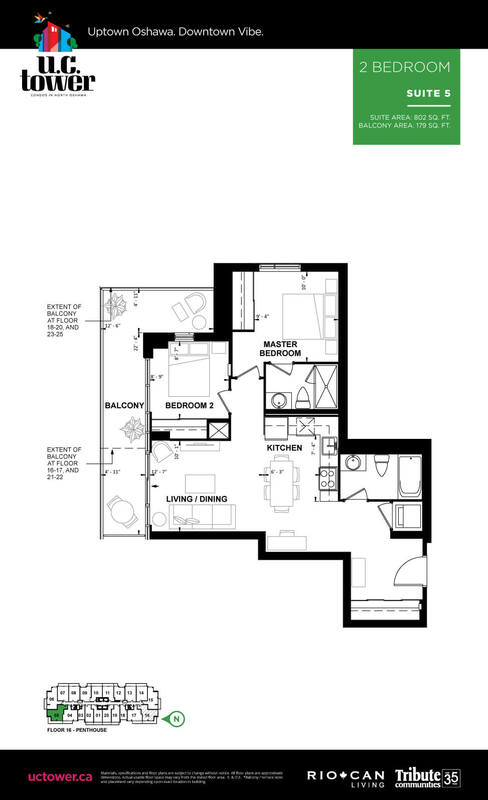 FT.
SUITE 4 | 679 SQ. 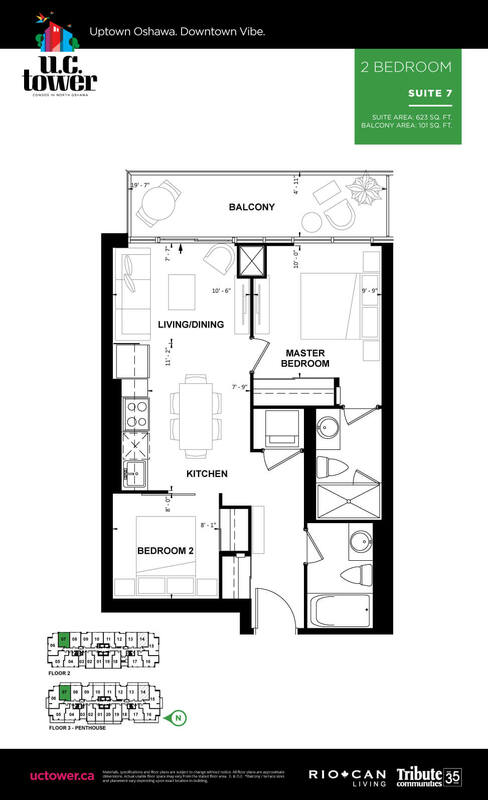 FT.
SUITE 5 | 802 SQ. 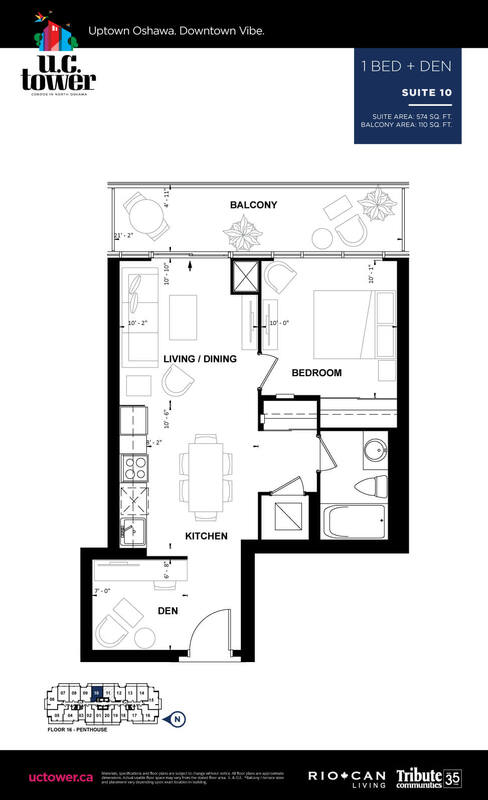 FT.
SUITE 6 | 875 SQ. FT. 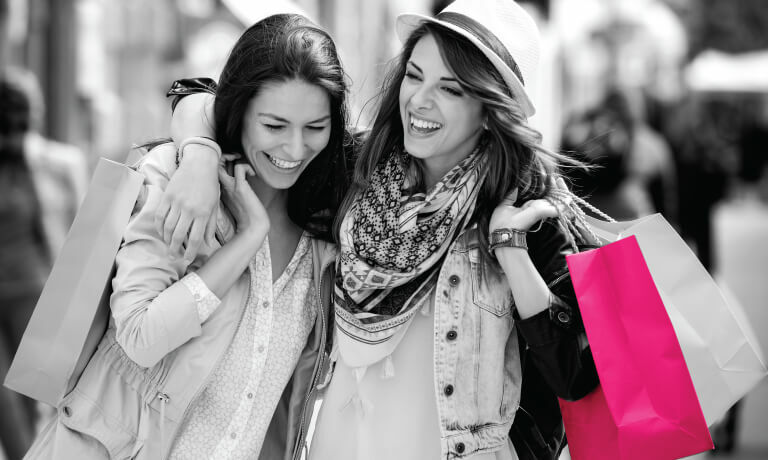 Since 1993, RioCan has helped shape the places Canadians want to work and shop. Now, RioCan Living is shaping the places they want to live. We know that building a community takes more than bricks and mortar. It takes people. When we select a project location and building team, we’re thinking about the people who will one day call it home. 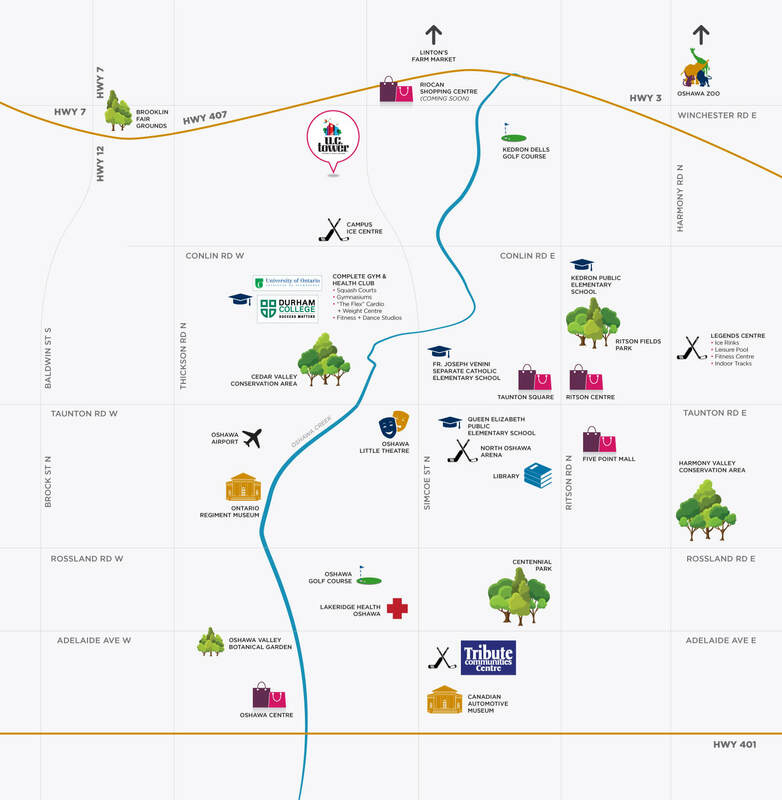 Our goal is to enhance the culture of each neighbourhood we work in through listening, discovery and innovation. 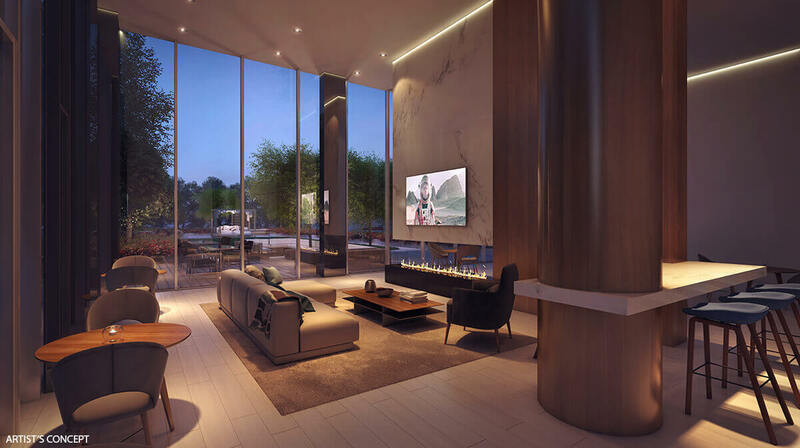 Every one of our developments is backed by our proven performance and commitment to providing impeccable management, convenient access to major commuter routes, world-class architecture, best-in-class amenities and expertly curated retail experiences. This is how we’re helping to shape the future. This is RioCan Living. to change without notice. E. & O. E.
51 Windfields Farm Drive E.